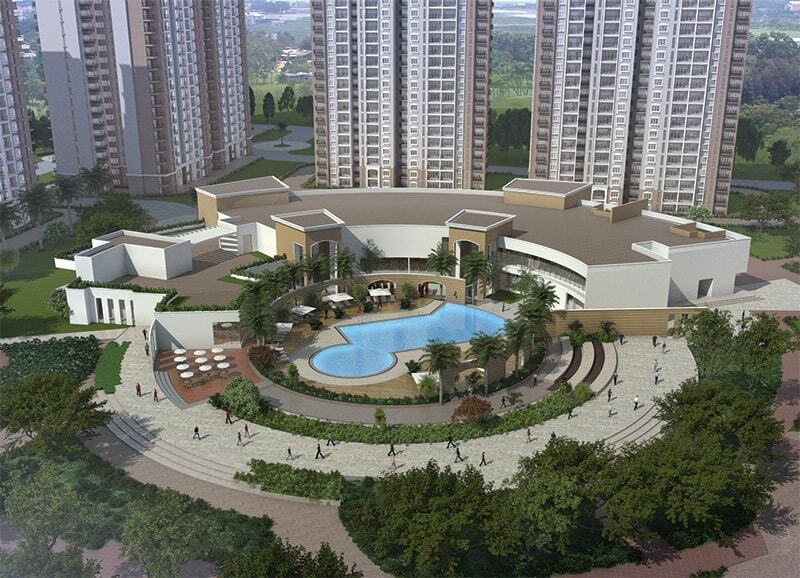 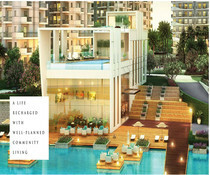 Prestige Song of The South is an upcoming wonderful luxurious residential project presented by the Prestige Group. 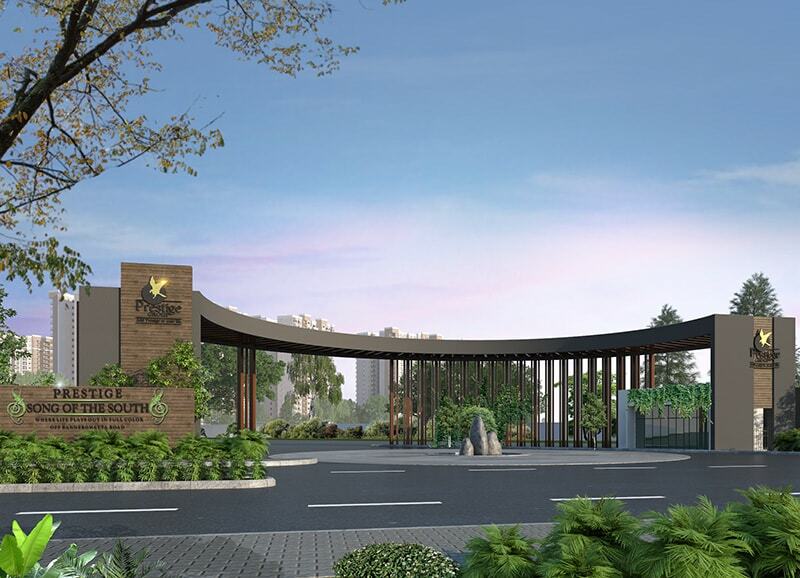 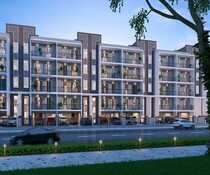 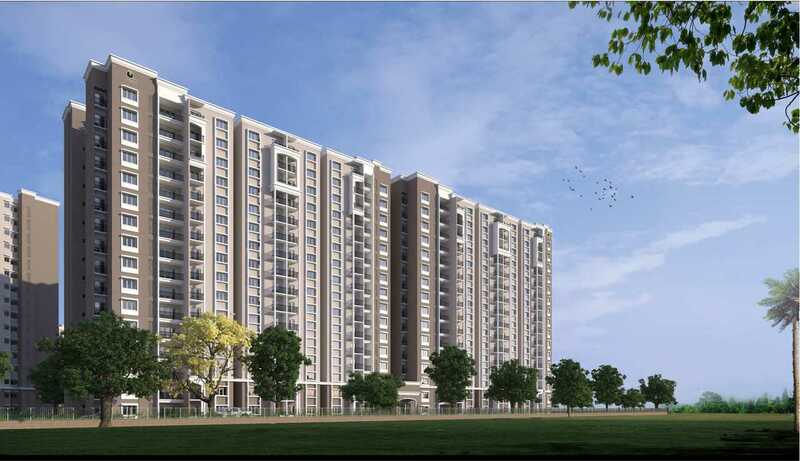 Prestige Song of The South under construction project is located Off Bannerghatta Road South Bangalore which is the best township of Bangalore because of its closeness to Electronic City, the Outer Ring Road and the Nice road. 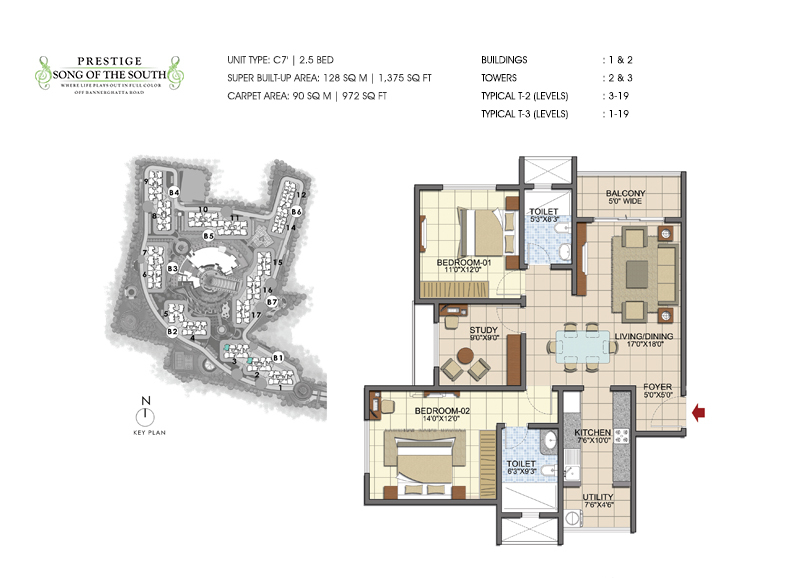 Prestige Song of The South Begur location hosts many IT companies, good schools, and hospitals and some best residential apartments that will surely fulfill all the needs of the people living in this area. 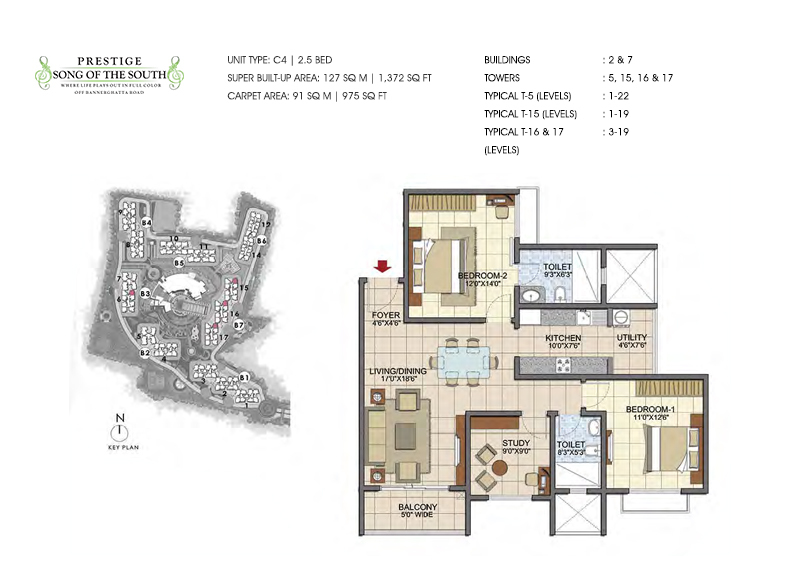 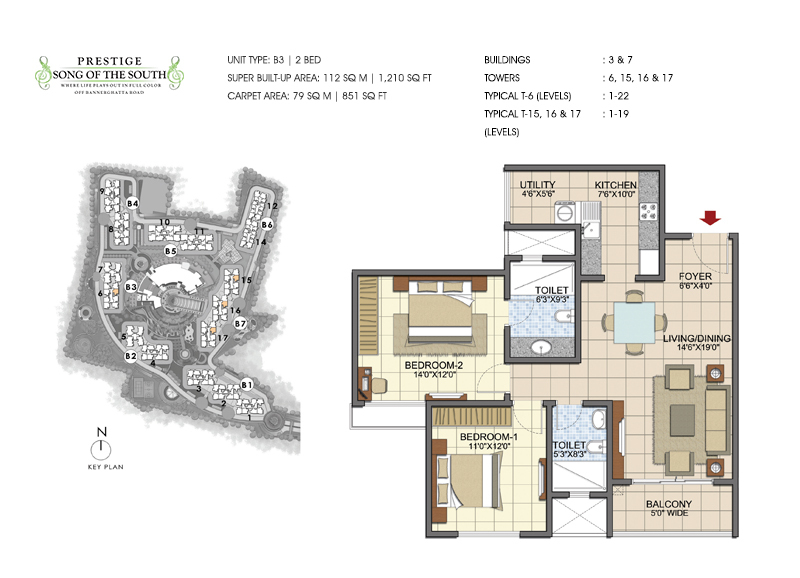 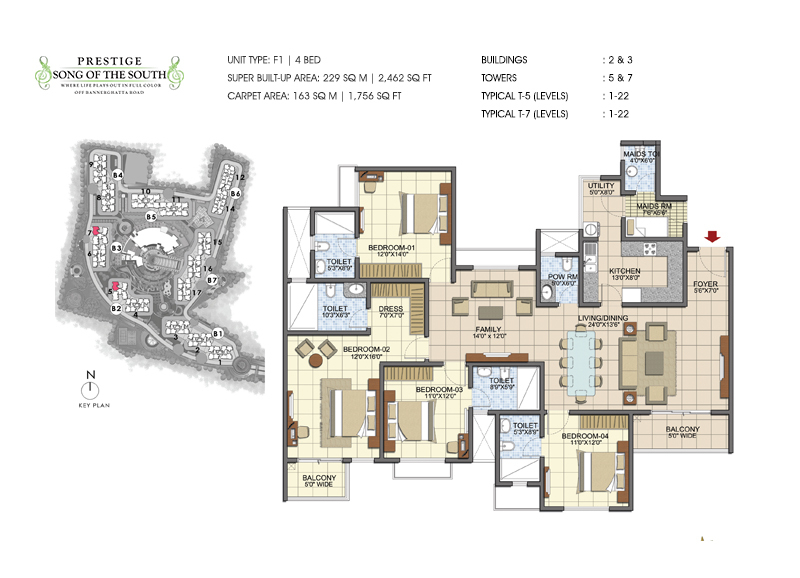 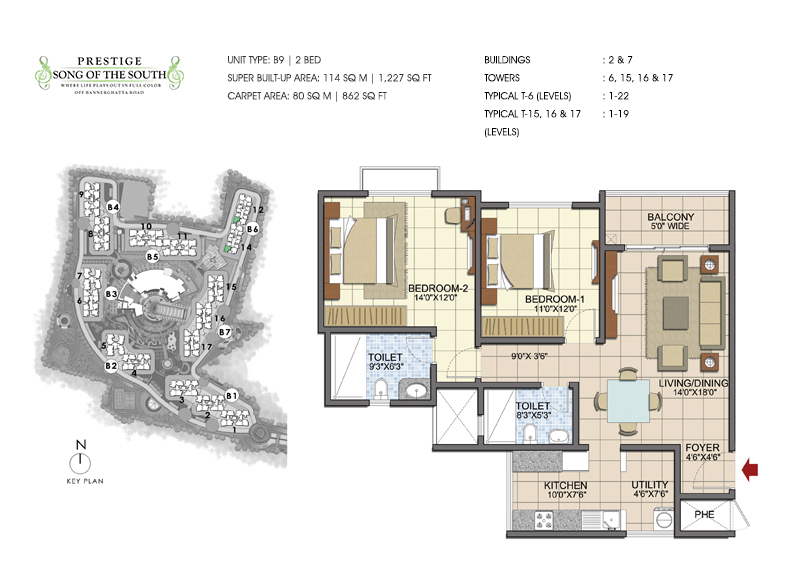 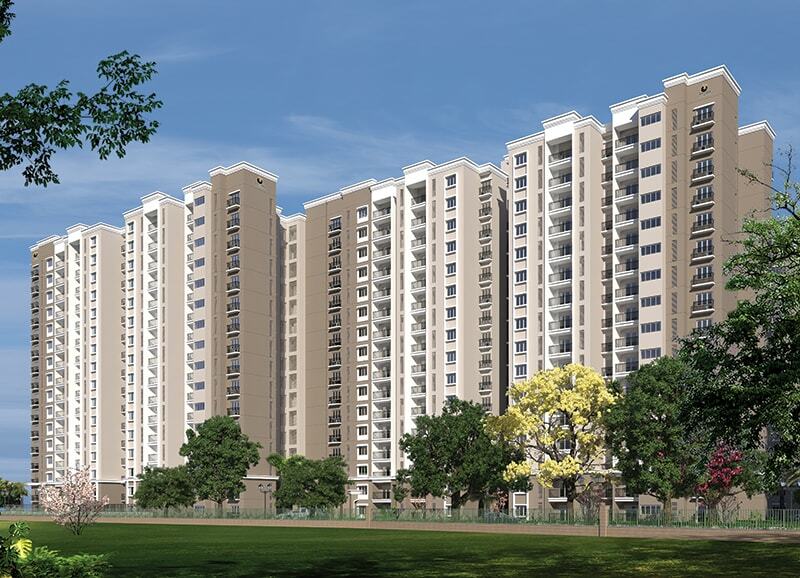 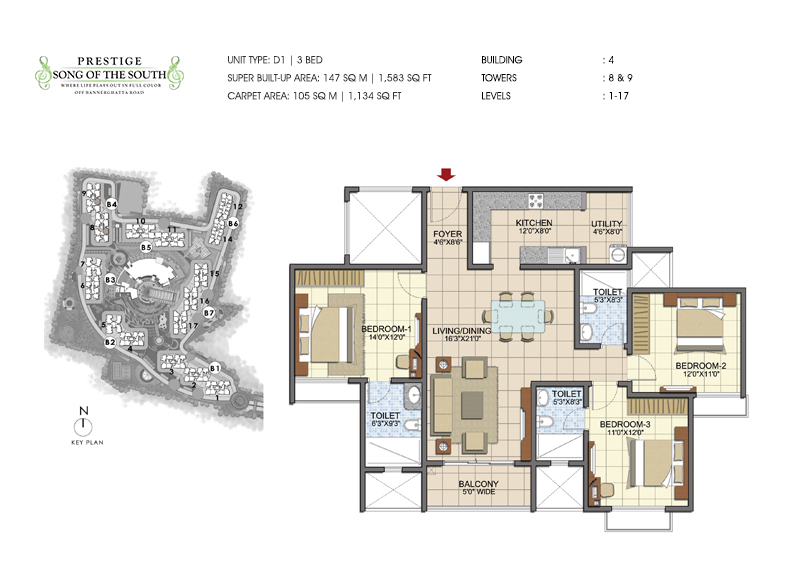 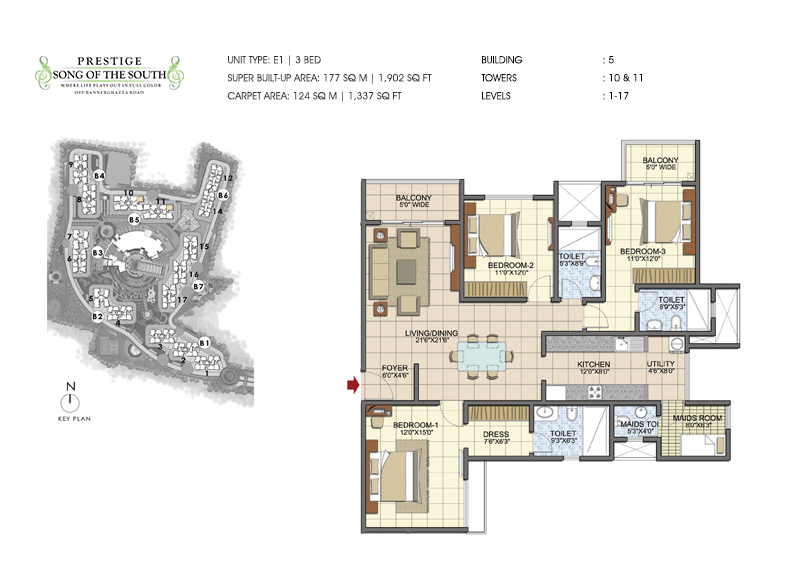 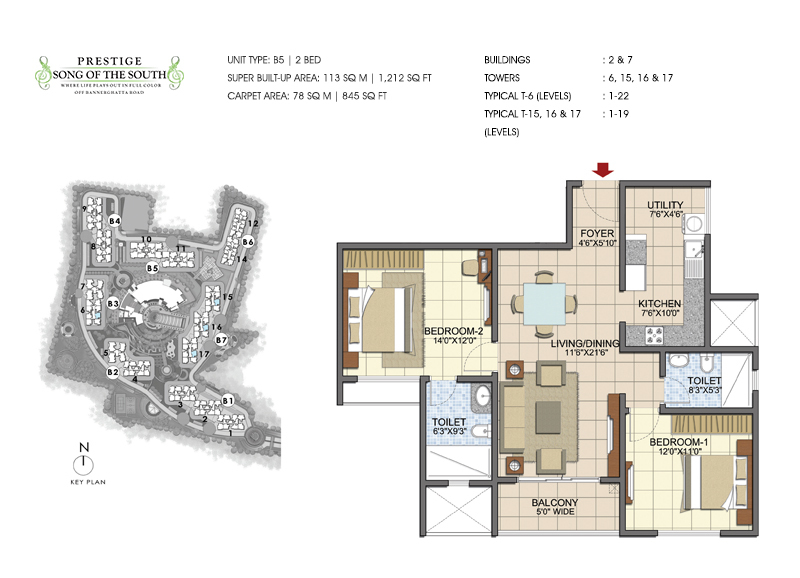 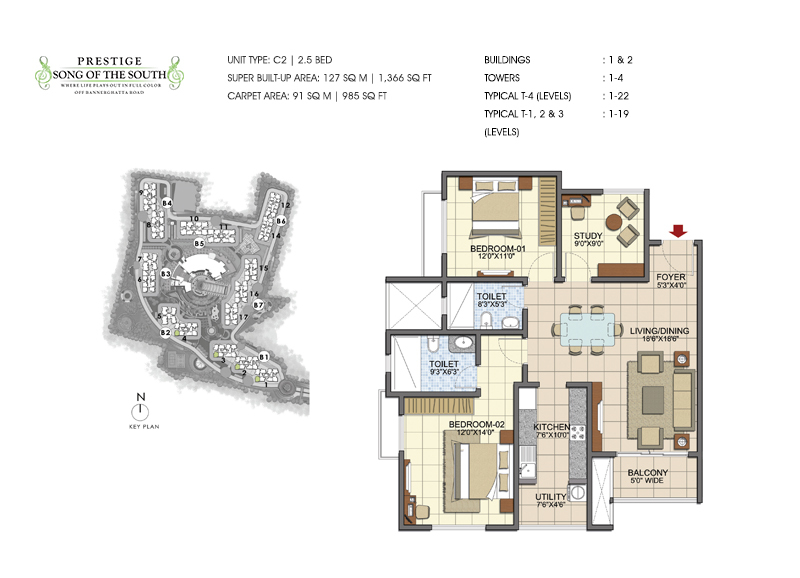 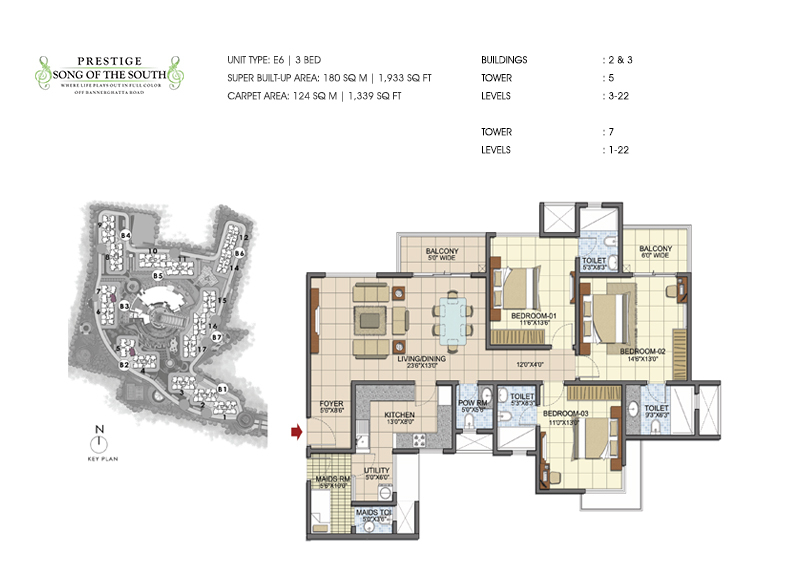 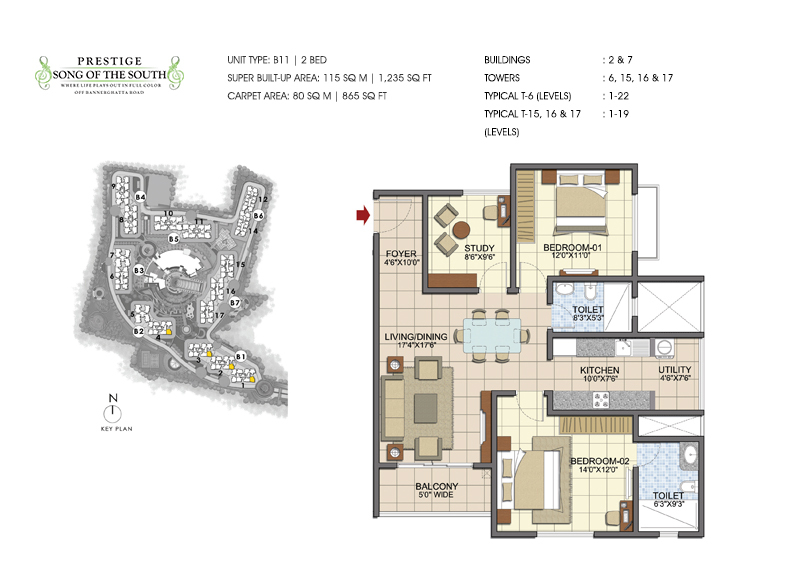 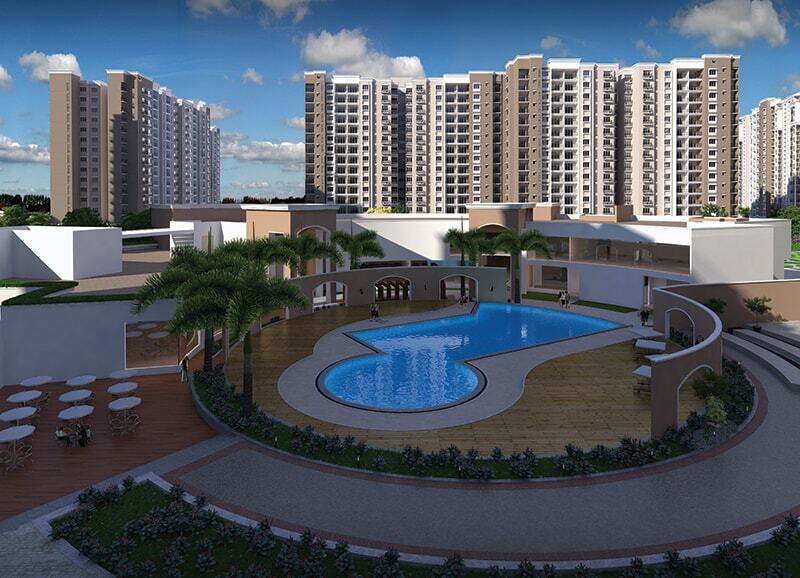 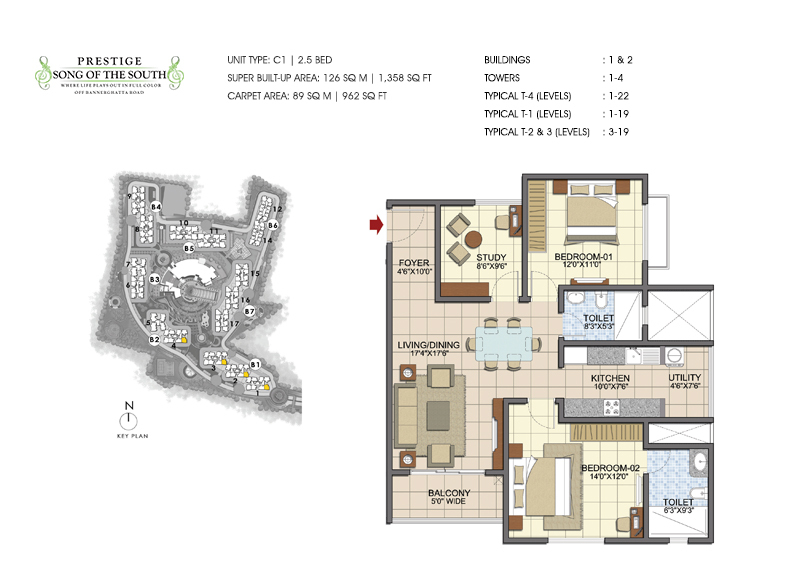 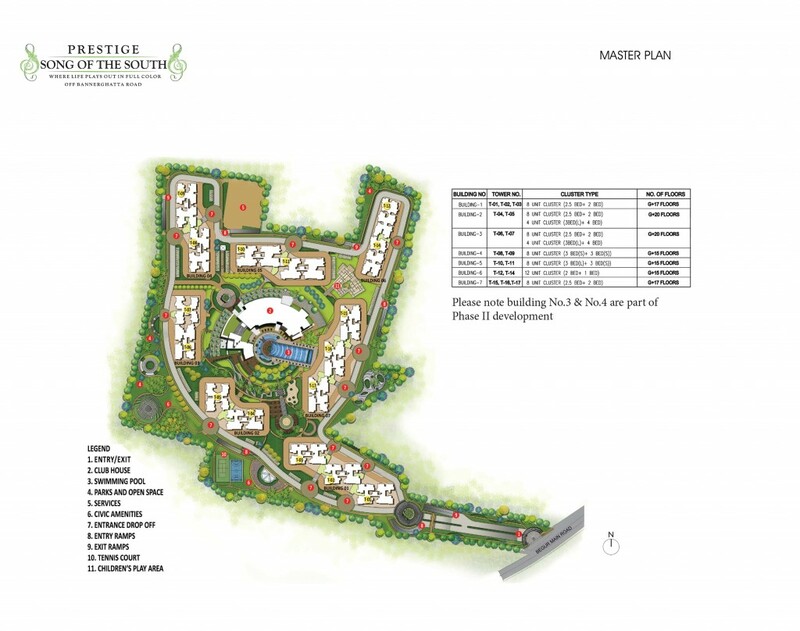 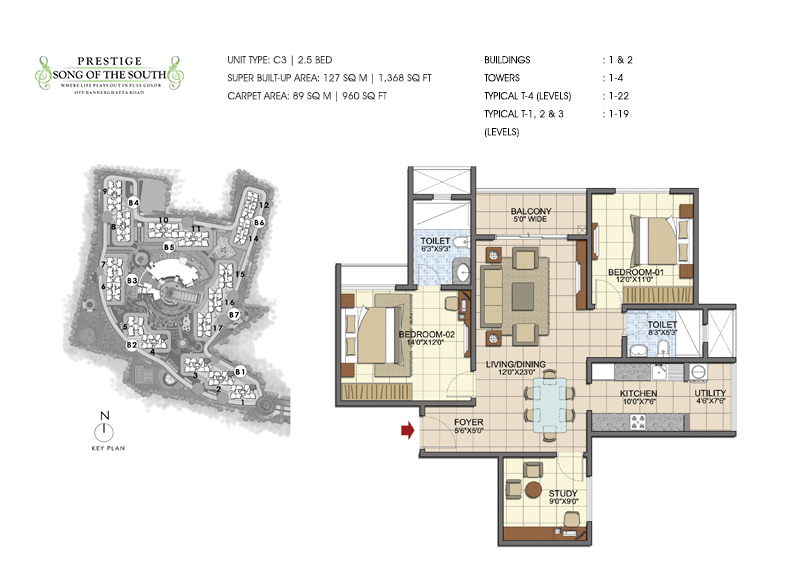 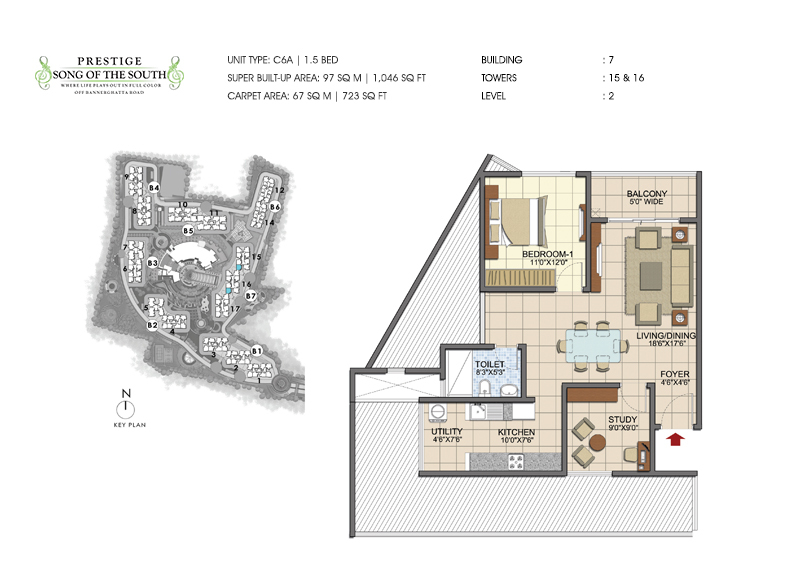 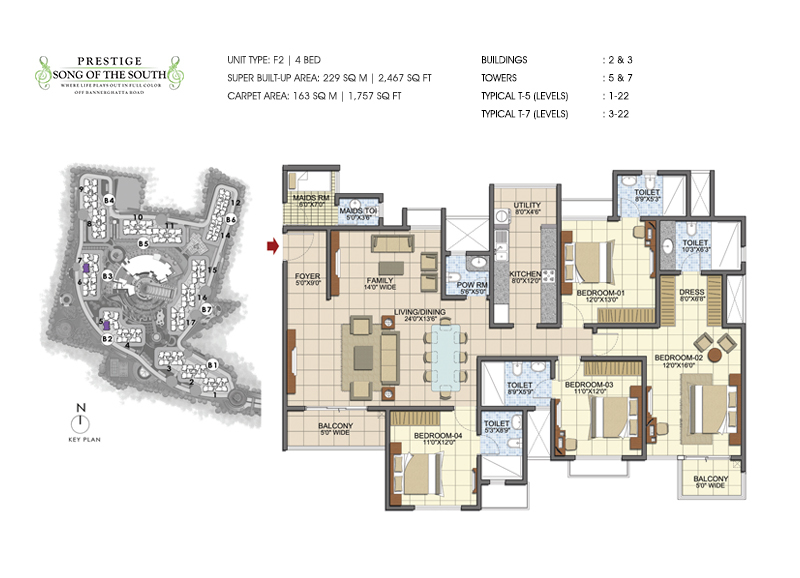 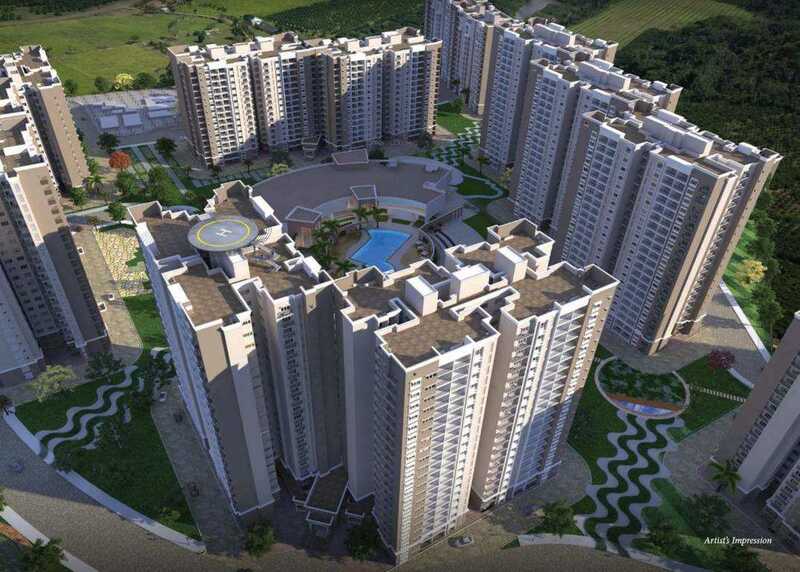 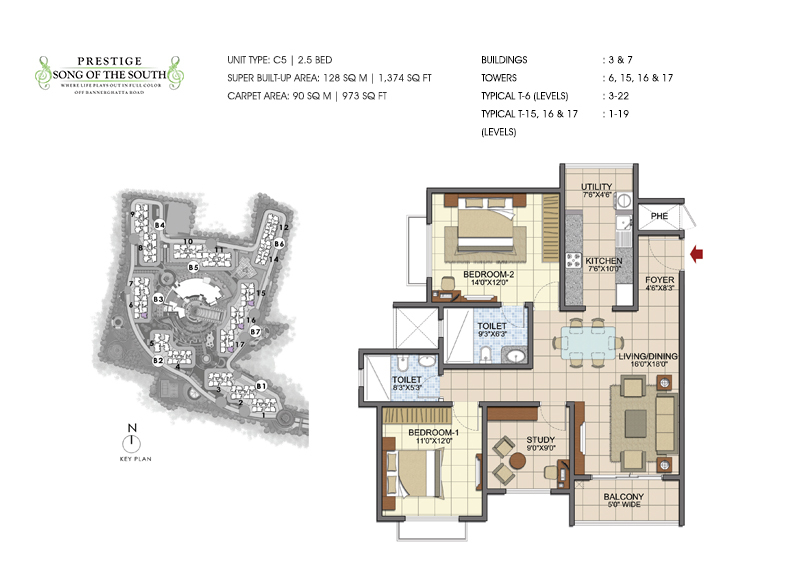 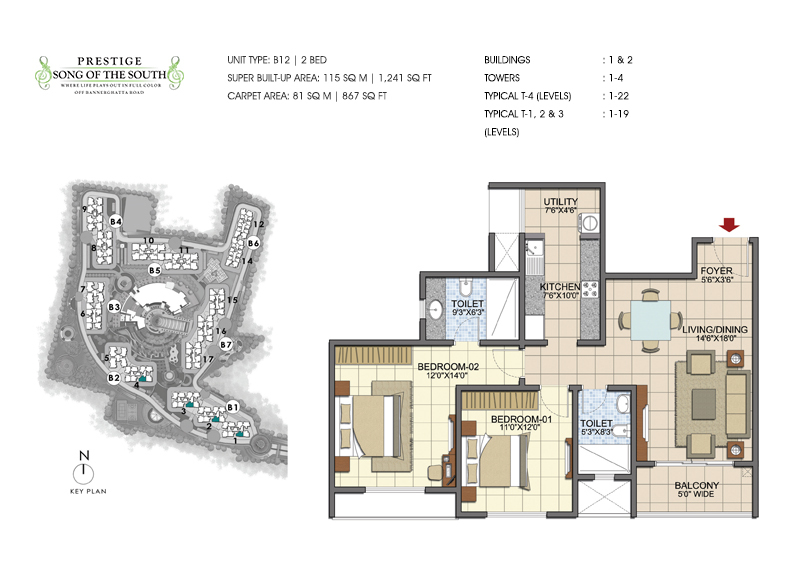 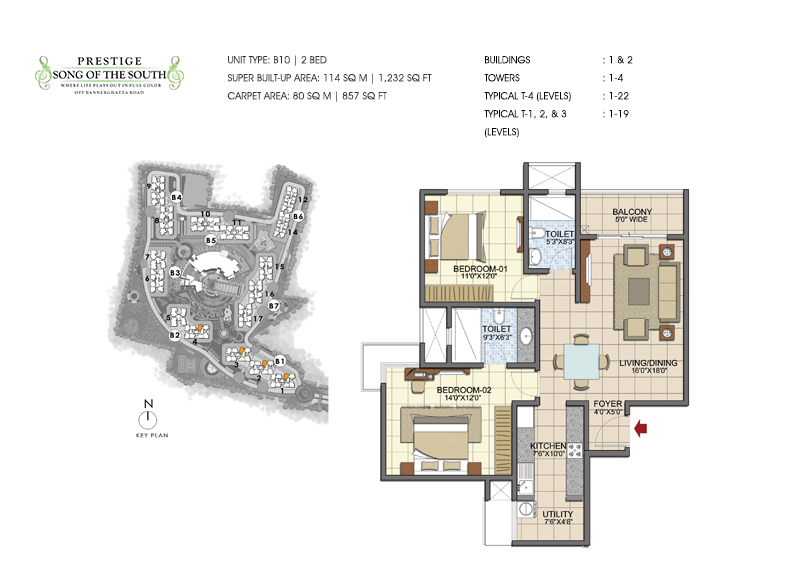 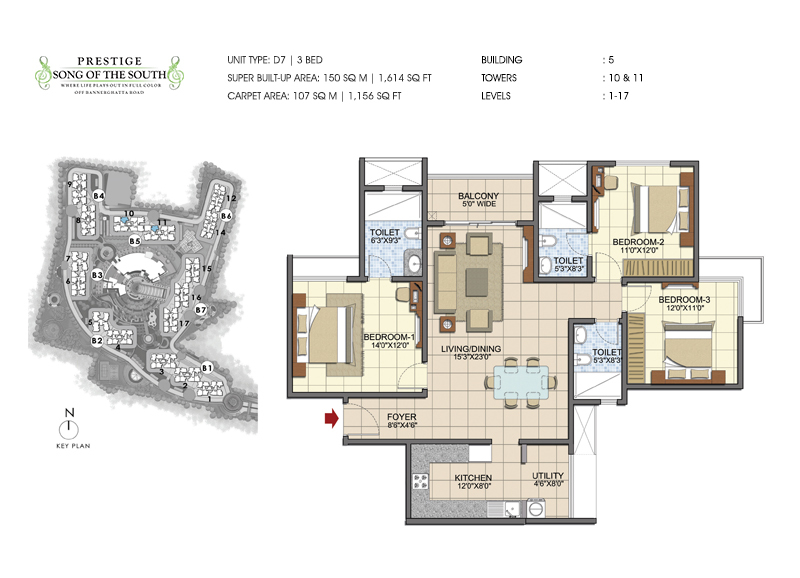 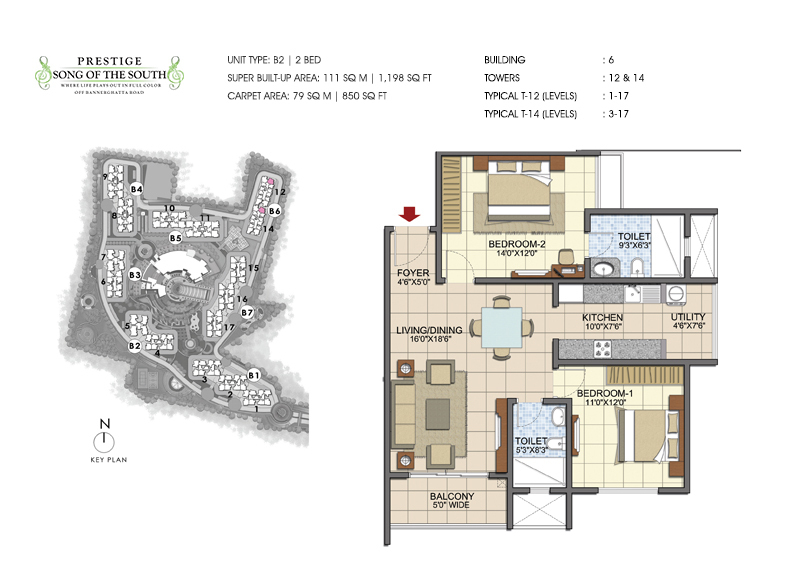 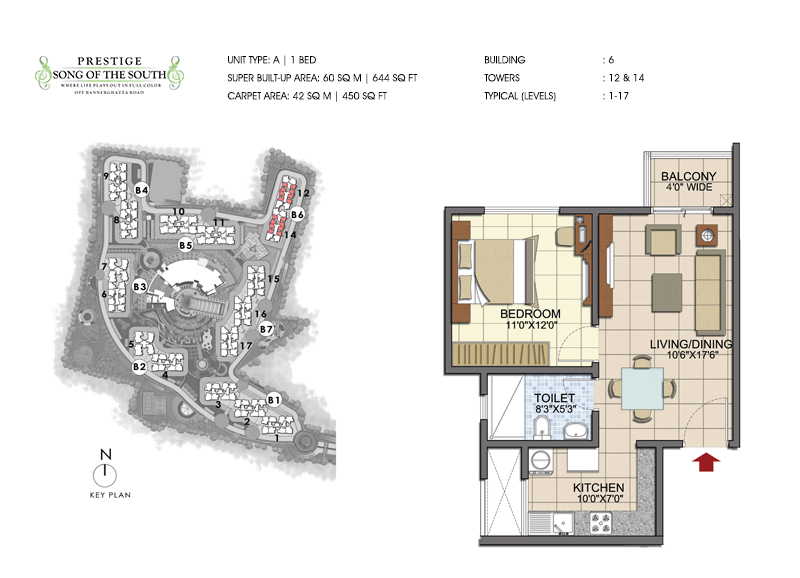 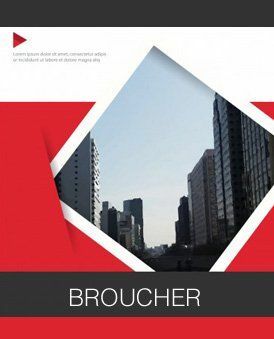 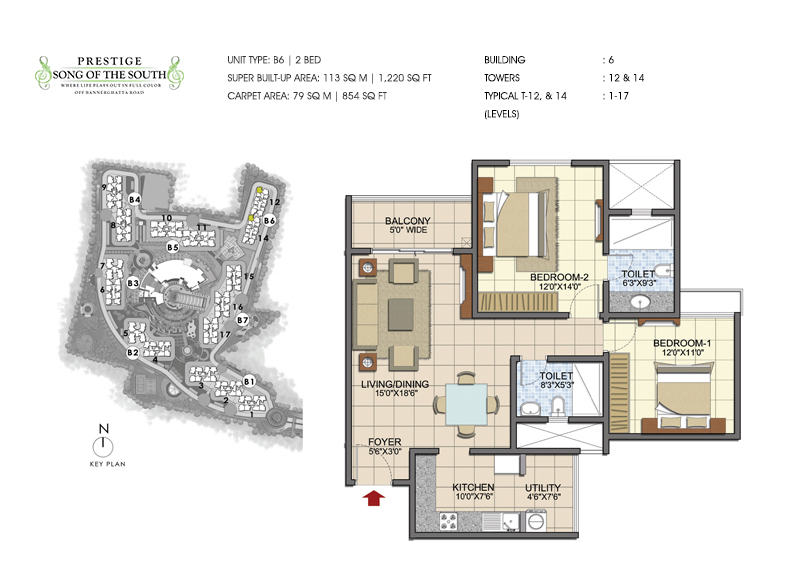 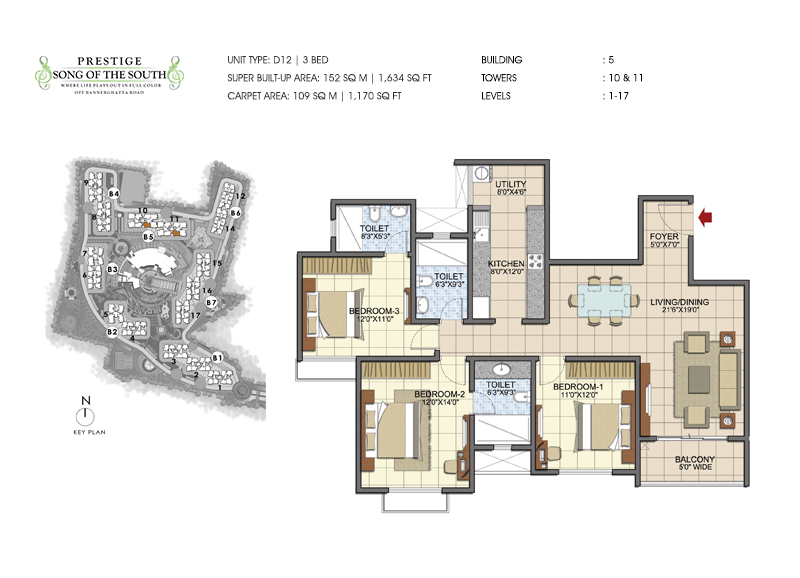 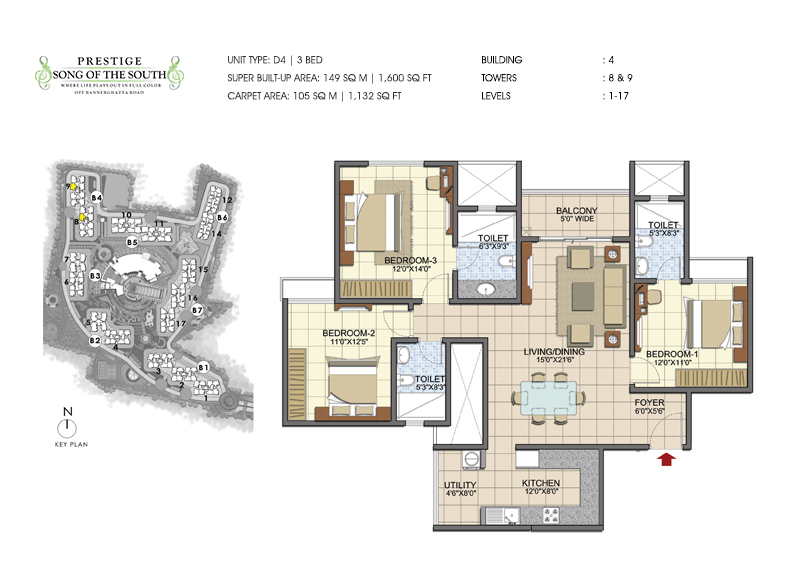 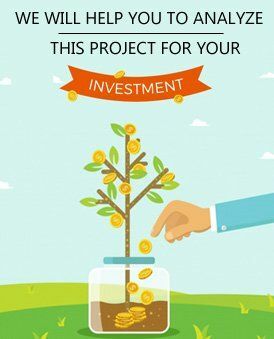 The project is spread across 33 acres of land area with 50% open space and offers 1 BHK, 2 BHK, 3 BHK and 4 BHK apartments. 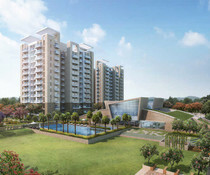 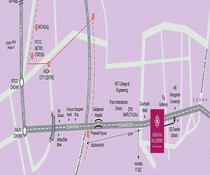 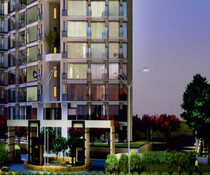 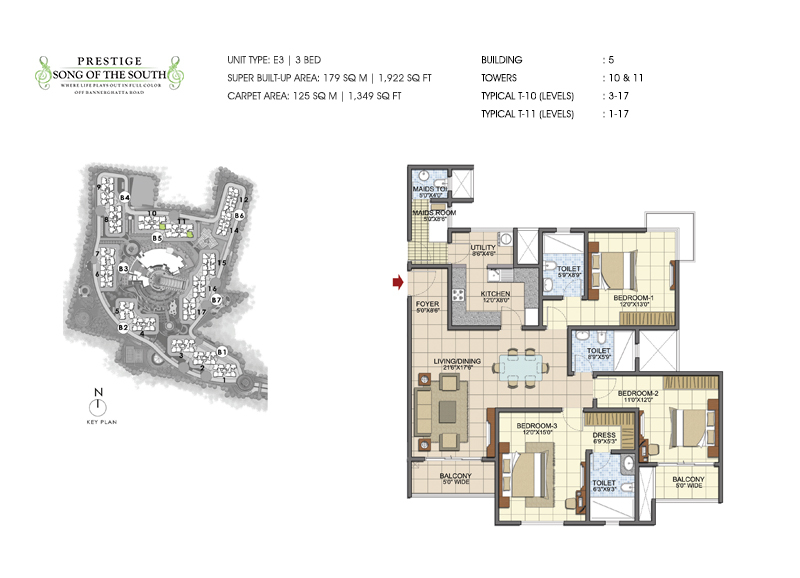 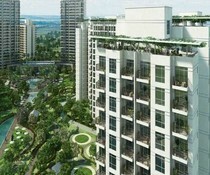 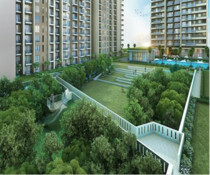 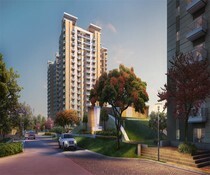 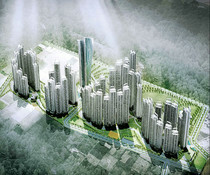 Prestige Song of The South Bangalore project is like an oasis of peace in the heart of the city.